A move is afoot to hire a new CEO at CSX, one of North America’s major railroads and give him a $200 million pay package. CSX doesn’t operate in Oklahoma. It’s mostly a rail system located in the eastern half of the U.S. Nonetheless, any time someone’s talking about paying $200 million to hire a new CEO, it turns heads. 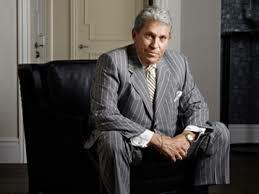 In this case, Hunter Harrison is the man some are attempting to hire at CSX according to the Dallas Morning News. Harrison is the executive lured out of retirement in 2012 to run Canadian Pacific Railway Ltd. He turned things around, converting Canadian Pacific from one of the least efficient railroads into one of the smoothest-running operations in North America.